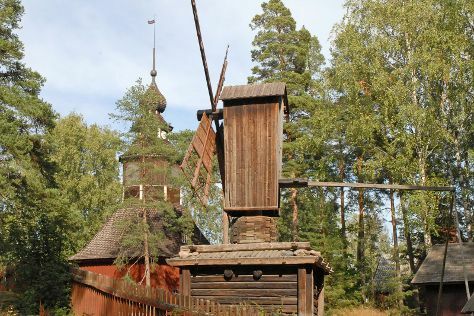 Eschew the tourist crowds and head to Seurasaari Island and Open-Air Museum and Kansallisgalleria. Explore Helsinki's surroundings by going to Porvoo (Porvoo Old Town, Cathedral of Porvoo, & more), Ekenas Archipelago National Park (in Raseborg) and Kotka (Riverside Park, Sapokka Water Garden, & more). Pack the 11th (Tue) with family-friendly diversions at Linnanmaki Amusement Park. There's still lots to do: test your problem-solving skills at popular escape rooms, shop like a local with Hakaniemi Market, and get a new perspective on nature at Natural History Museum (Luonnontieteellinen Museo). To see maps, photos, other places to visit, and more tourist information, read Helsinki trip planner. If you are flying in from United Kingdom, the closest major airport is Helsinki Vantaa Airport. In June, plan for daily highs up to 21°C, and evening lows to 11°C. Finish your sightseeing early on the 14th (Fri) so you can travel back home.